This family of Warhorse came from an old plantation in Edgefield Co. SC before 1900 and has only been in the hands of one family of breeders for three generations before I took on the responsibility of helping to preserve this great strain. 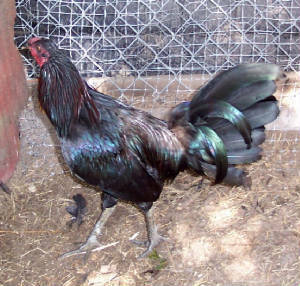 All straight comb with dark legs usually of a moccasin pattern. Click on Photo to View. 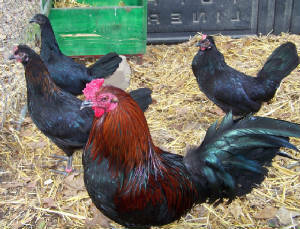 This family of fowl has a long and colorful history in Columbia, North Augusta, Trenton & Edgefield SC and also Augusta GA. Several stories date back to the period shortly before the War of Northern Aggression. This family may have never been in the hands of Judge Bacon at all. Some of my research shows it passing from John Stone through several hands to Jim Clark or John Fair, then to another local family then to me. Bacon and Hopkinson also got some of these birds at about the time that Fair & Clark got theirs. (about 1865) At one point in time some were called Fannie Carters. They all have moccasin legs and straight comb, mulberry faces. 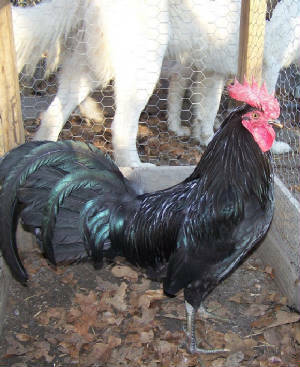 Hens may be all black or have lemon or ginger hackle. A few will be toppy. 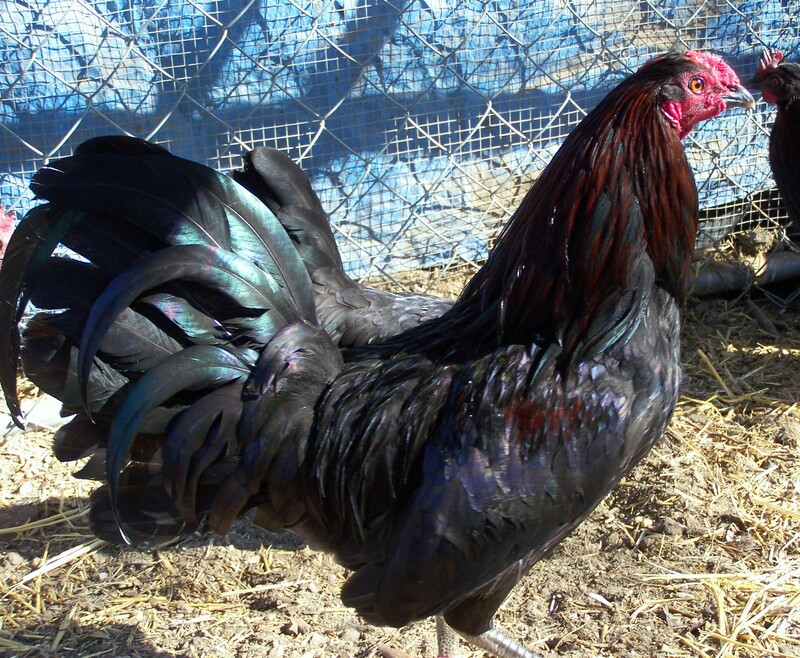 My males usually have a garnet red in the hackle and saddle feathers. 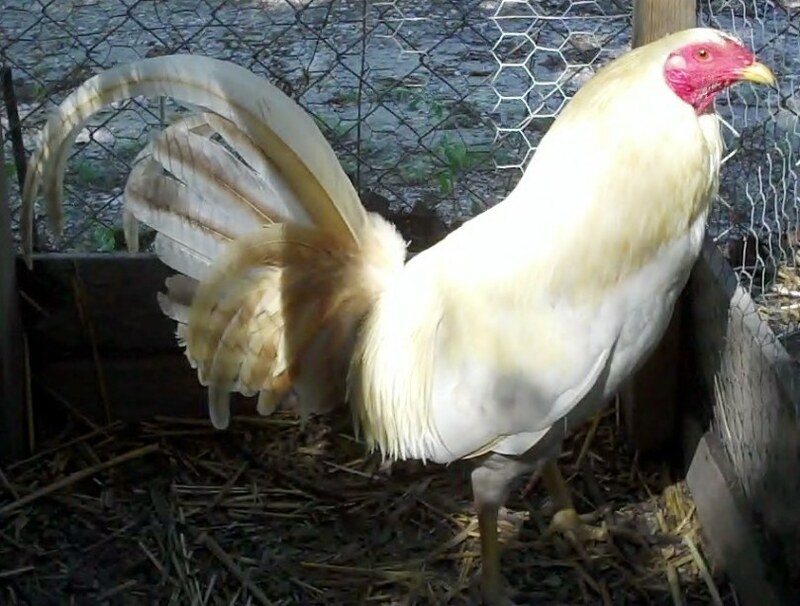 I could call them John Stone Irish Dundons, but John Stone Fowl will work.